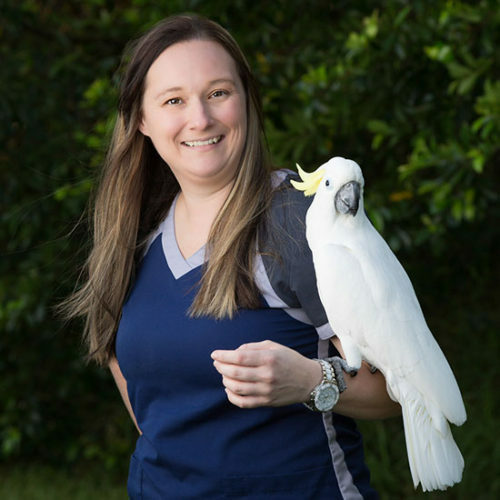 Dr. Bucky Bearden is a general practitioner who has a strong passion for the care of animals. Born and raised in Louisiana, “Dr. B” has deep southern roots. He has lived in Florida since 1987, and proud to call it home, but admits that he will always be drawn to anything “Louisiana”. He attended Southeastern Louisiana University, where he earned a football scholarship and graduated with honors, earning a Bachelor of Science in Animal Science. It was at SLU that he began dating Lorrie, his wife of 33 years. 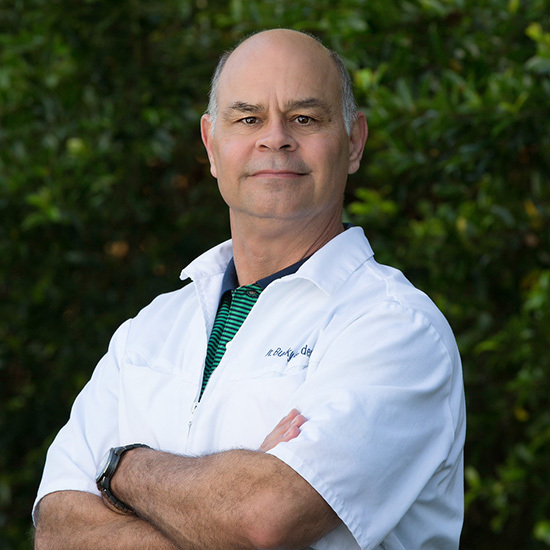 He then attended the Louisiana State University School of Veterinary Medicine where he graduated in 1987 with a Doctorate of Veterinary Medicine. Immediately following graduation, he and Lorrie moved to Florida. They have since lived in the Longwood Altamonte Springs area, where their three sons (Chad, Bryan and Brett) all attended and graduated from Lake Brantley High School. Dr. B has always been a family man and his entire family shares his love for animals. The Bearden family has always had a variety of pets, and now spend all their extra energy on three special dogs – Hattie Mae (Dr. B’s dog), and Lucy (Chad and his wife, Tina’s dog) and Reese (Bryan and his wife, Kaitlin’s dog) who are lovingly referred to as the grand-dogs! Dr. Bearden’s area of professional interest is surgery and internal medicine. He is most energized by the relationships he shares with both his patients and his clients, and strives to provide good medicine as well as strong education. In Dr. Bearden’s free time, he enjoys watching sports (especially football) and anything LSU. He shares that having sons and daughter in laws with degrees from Florida State and University of Florida, has kept him grounded. He also enjoys “coaching”, cooking and brewing beer. After many years of successful practice, he is now proud and excited to call North Orange Animal Hospital his own!